In a mixing bowl, cream margarine. Gradually add sugar beating until light and fluffy. Add egg and egg whites beating after each addition. Add almond extract. Set aside. Combine flour and baking powder in measuring cup. Add to sugar mixture alternately with yogurt beginning and ending with flour mixture. 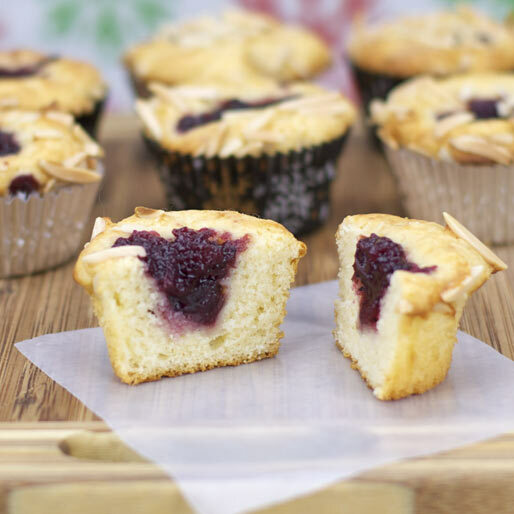 Pour batter into a muffin pan coated with non-stick cooking spray and dusted with flour. (Or use muffin cups.) 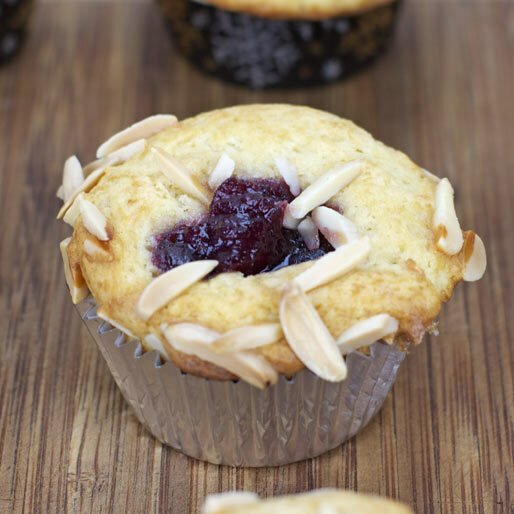 Spoon cranberry sauce evenly over batter; sprinkle with almonds. Bake at 350 degrees for 25-30 minutes or until muffins are done (check by inserting a toothpick until it come out clean). Make glaze: combine all glaze ingredients in a small bowl and stir until smooth. Drizzle muffins with glaze. This is a delicious, low fat treat for the morning after Thanksgiving! Mr Breakfast would like to thank kmanore for this recipe. Recipe number 1895. Submitted 11/16/2006.